Needing a light in a dark room is a funky thing. Flashlights are okay, but they take up one hand (or your teeth if you’re extra tough). 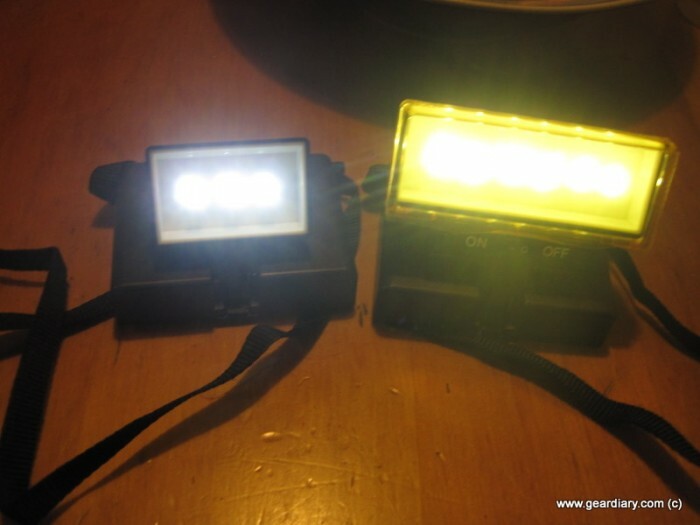 Headlamps don’t always provide an even light, and don’t even bother to try those tiny LED keyring lights. If you’re reading, there’s always booklights, but I find those are tough to position well. Either the light shines wrong on one area, or it isn’t bright enough. 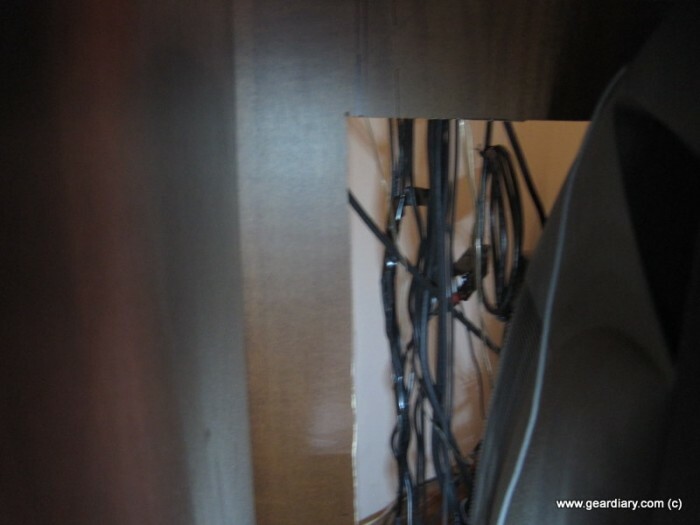 That’s where the “Beam ‘n’ Read” light steps up to fill that gap. Is it useful? Does it work as well as it claims? Let’s find out! I was sent two Beam n Read lights, the 3 LED model and the 6 LED model. Both take AA batteries and claim the LED lights can last up to 120 hours. Very handy, especially if you keep a light around for occasional or emergency use! But the most important part is whether it works well, so I ran the lights through a few tests. Officially, BNR lights are not recommended for ebook readers; in their tests it sometimes caused glare. 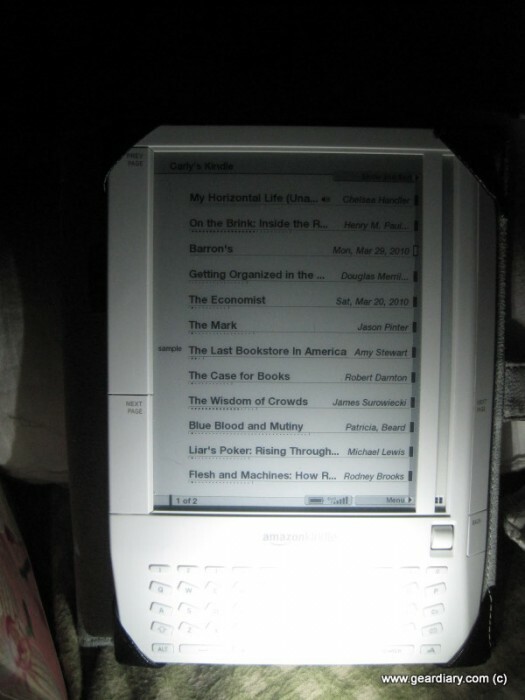 I found the BNR was actually perfect for reading in the dark on my Kindle, though I did have to adjust the lights a bit to get the right coverage. If I aimed it straight at the Kindle there was some glare, but setting the light on my chest and the Kindle just outside the main beam created the perfect amount of ambient light for reading. It did create a fair bit of light around the room, but not enough to wake my fiancée. So while it might take some finagling, these do work well for ebook readers. I recommend the 3 LED light, it created just the right amount of light for me. A regular paper book worked great as well. In fact, these might be even better with regular books, just because you don’t have to position a booklight to cover both pages. We have some funky lighting in our basement. 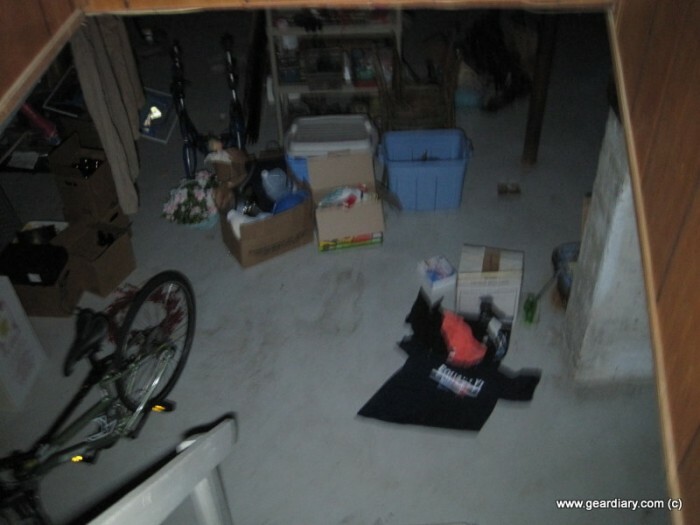 There’s a main light over the laundry area, and there are a few other small lights around, but generally, it gets very dark down there at night. The Beam ‘n’ Read lights were both excellent, though the 6 LED obviously gave off a brighter light. 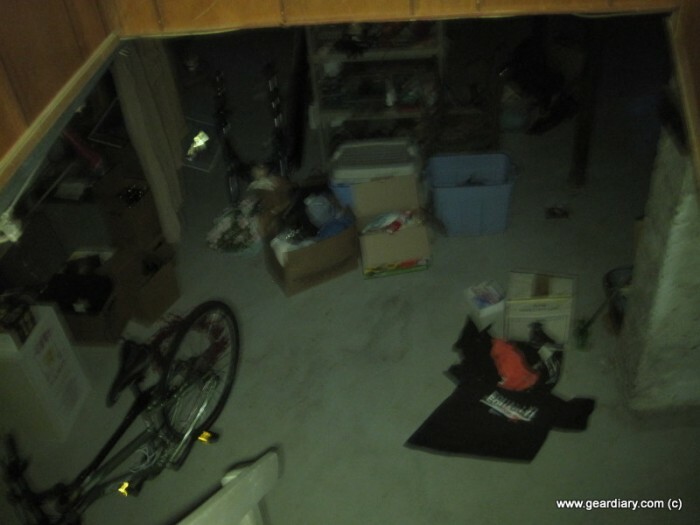 Since it was nice and dark down there, I also tested the orange filter, which muted the 6 LED light slightly but still gave off a fair bit of brightness. This was a pretty straightforward test, and the lights performed admirably. Under my couch is very dark. 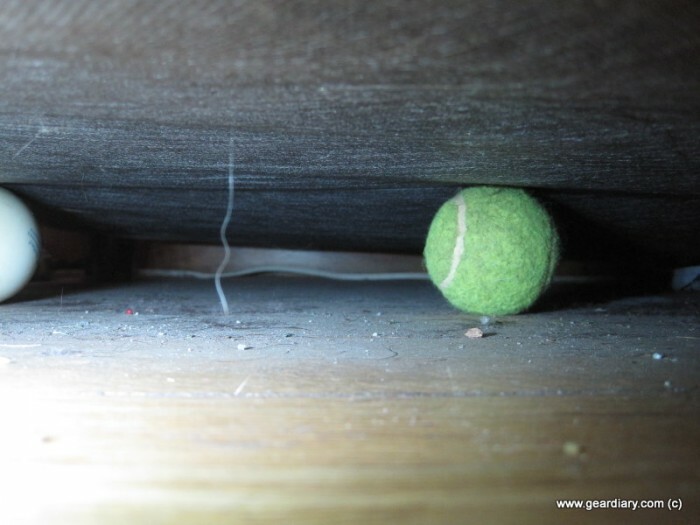 The couch sits low to the ground, and it is tough to find items (like my dog’s tennis balls) that tend to get stuck under there. I dread seeing him laying there with his nose shoved under the couch whining, because it means it’s time to lay on the ground and flail wildly looking for his ball. Flashlights help, but they are round and tend to roll around, and since I’m usually doing contortions trying to not knock things off the coffee table, I don’t have a free hand to hold the light. The Beam ‘n’ Read worked fabulously well. I tried the 3-LED and the 6-LED, and found that 6 LED light to be much better for lighting the underside of the couch. It cast a nice, bright, wide light, and since it bent nicely into a stand I didn’t have to worry about it rolling away. 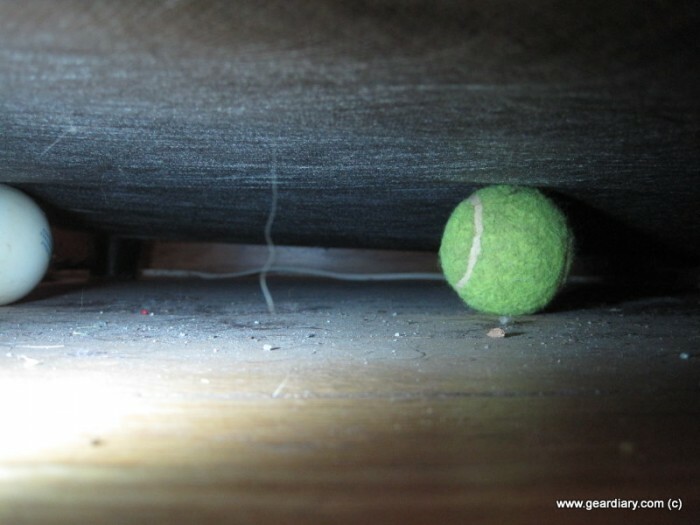 The biggest downside was that now that I’ve seen how dirty under my couch is, I need go grab the vacuum right away! Ok, back from my vacuuming sidetrack. 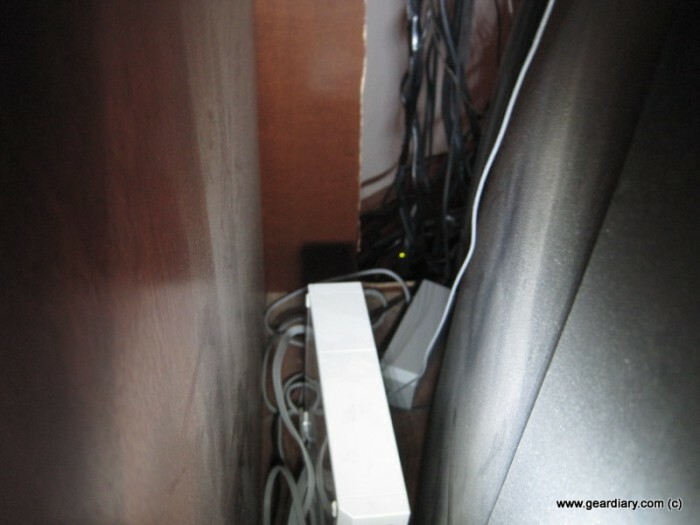 I thought I would test the Beam ‘n’ Read lights on hard to reach areas, like the space between the entertainment unit and the tv. Stuff gets stuck there all the time, or there’s a hanging cable, and it’s impossible to figure out what you are looking at, even in broad daylight thanks to the shadows. I hung the two Beam n Reads around my neck (not at the same time!) and tested them. Again, the 6 LED cast the brighter light, but since it was such a small area the 3 LED light did just fine. Having the lights around my neck freed my hands up, and the only issue I had was that the lights tended to swing forwards due to being a bit on the heavy side, relatively speaking. After testing the tv unit, I thought I’d give them a shot behind the shelves we keep in the hallway. We use them to store mail, drop keys, etc., and every once in a while something slips back there. Then it’s the endless debate of “Was it important? Maybe it wasn’t important. I should check if that was important. That made awfully big thunk to be just mail…” and so on. The Beam ‘n’ Read lights were definitely helpful at aiming down to get a peek. 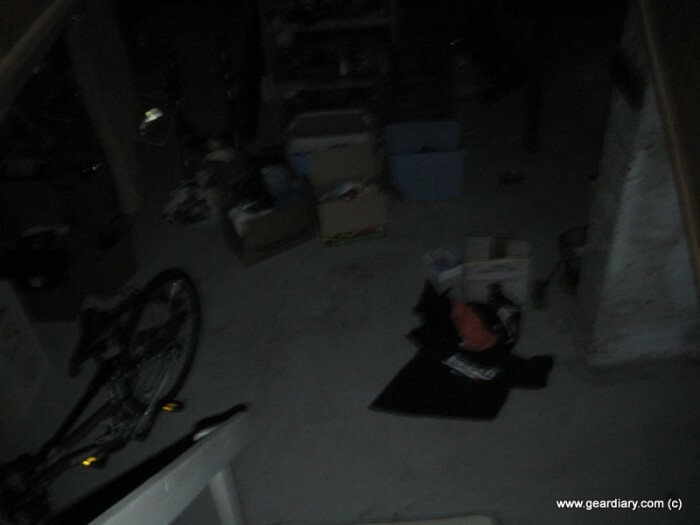 This is one of those cases where a regular flashlight would have worked fine, but the Beam ‘n’ Reads were great! 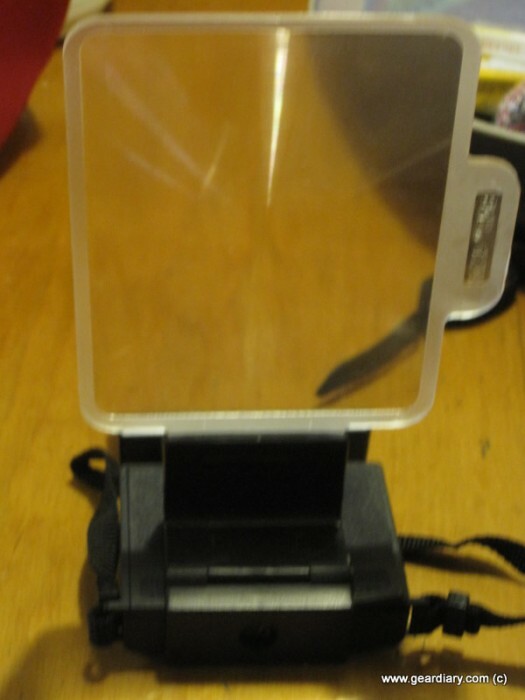 The 6 LED model also came with a large magnifier and holder, presumably to let you magnify AND light what you were reading. It works very well, though with the magnifier, the holder and the light it is not a small package. I could see this working well in emergency situations, but the combination of a dark room and reading through a magnifying glass seems to me like it would be terrible for your eyes. Overall, I liked the Beam ‘n’ Read lights. The flexibility to lay them on a table or flat surface and have a wide beam of light made them especially useful. I actually found the “around the neck” aspect a huge pain, as the lights were a bit top-heavy and wouldn’t stay in place well. If the battery packs were smaller I think the overall design would be more functional. If you need a versatile booklight/flashlight, though, you really can’t go wrong with one of these, as they offer flexibility in a small package. You can buy the Beam ‘n’ Read lights here; the 3 LED model is $19.99 (and includes a set of AA batteries), and the 6 LED model with magnifying glasses is $25.95.